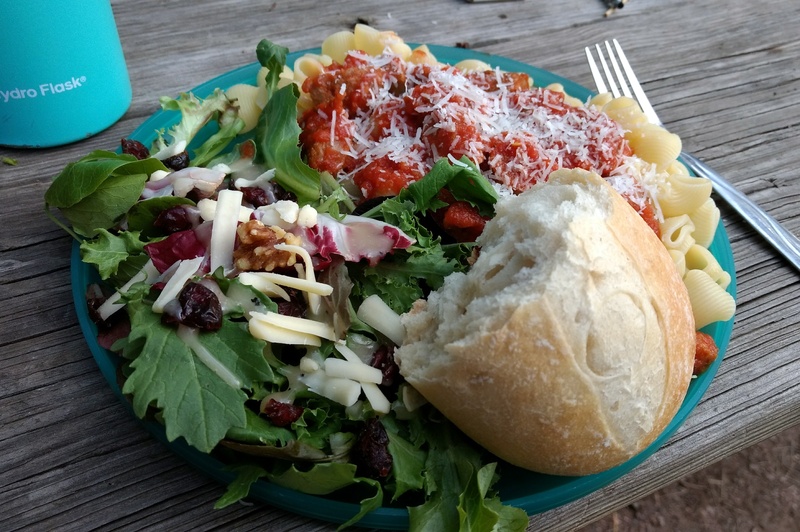 I posted this picture to instagram and Facebook over the weekend from a mini backpacking trip we did with friends and many were surprised to find out it was a dinner we made while backpacking. Today, I’m here to dish all the dirty details on how we made that meal happen, plus share some of our other favorite foods to eat on the trail. 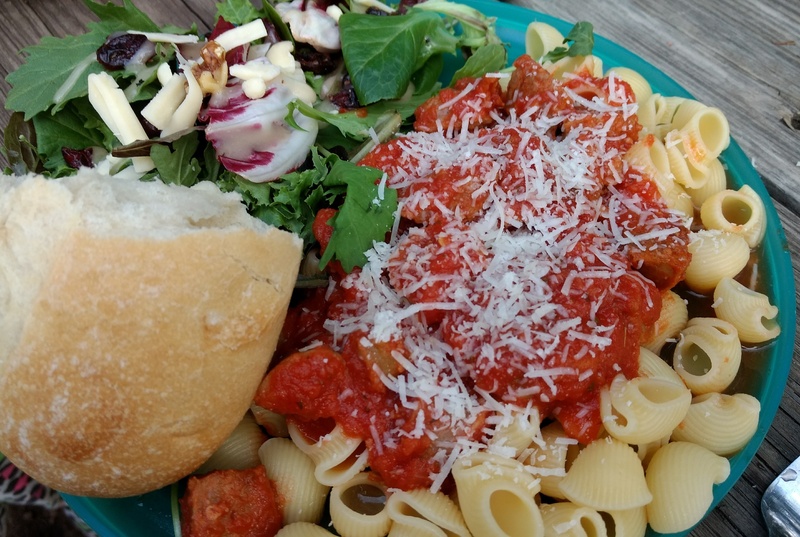 The secret to our amazing pasta dinner on our backpacking trip the other day was adequate prep at home. 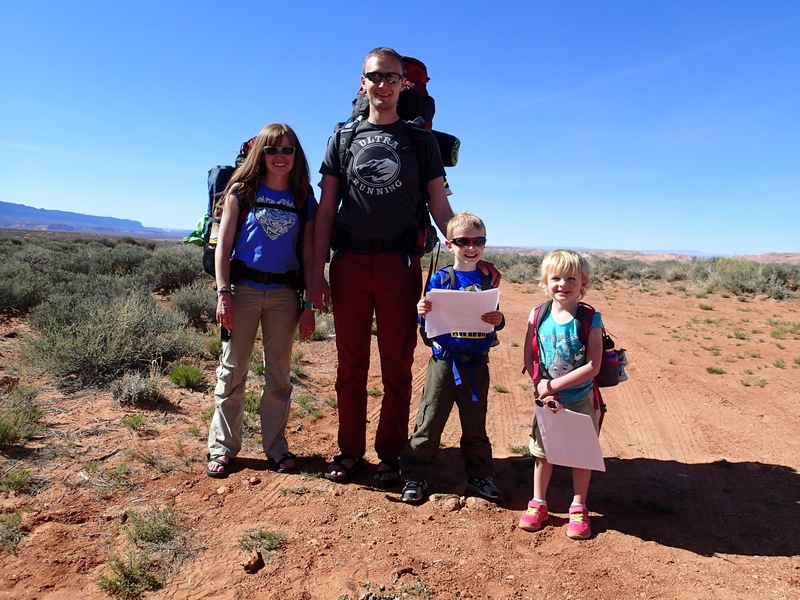 The meal we ate is perfect for short trips or day one of a long trip. Here is how we made it happen. At Home: Make sauce by heating two 14.5 oz cans of diced tomatoes to a simmer and adding desired seasonings such as garlic, onion, oregano, pepper flakes, salt, and pepper. Meanwhile, cut up Italian sausage links (we used four) and sauté in a pan until the sausage is cooked and has a nice crispness. Using an immersion blender (or you can put the whole mixture in a regular blender), puree the tomato mixture until it has a nice creamy consistency. Add the sausage. Put the sauce and sausage mixture in a well sealing container (a ziplock works if you cool the mixture first). Freeze the sauce and sausage then pack for your trip. At this time, you also pack noodles, cheese, cookware, and any desired sides. The Sides: A petite baguette and a pre-made salad from the produce section of our local Kroger store. Salads will survive outside a refrigerator for awhile. 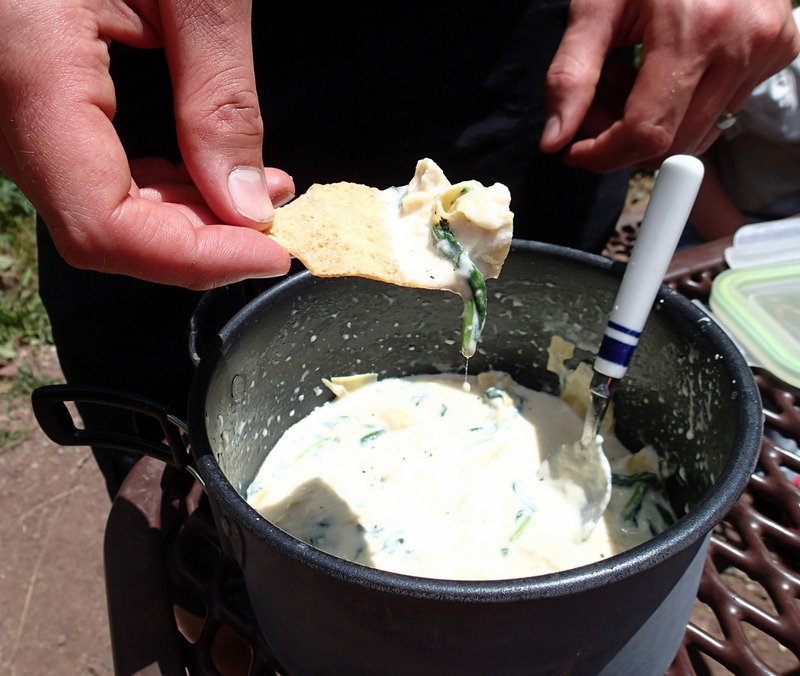 We don’t buy many salad kits in regular life, but they are excellent camping/backpacking options since it compiles a dressing and delicious toppings into a compact shell. 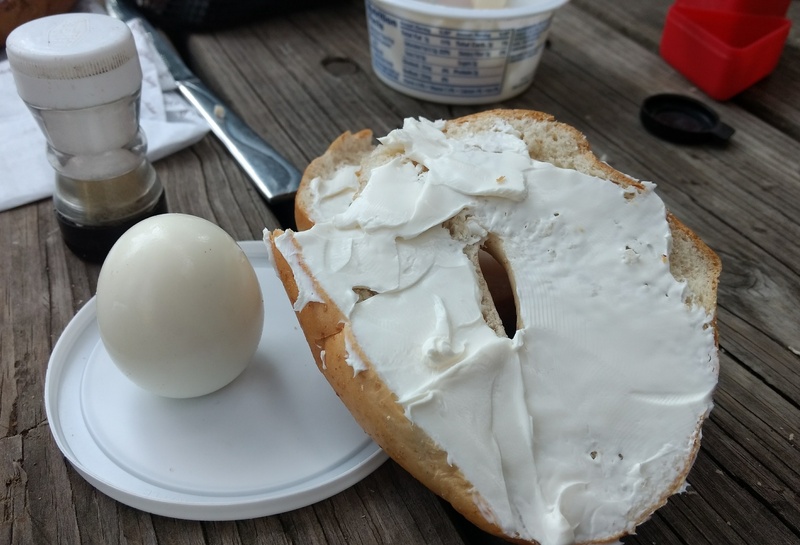 Hardboiled eggs – When kept in their shells, they can go several days without refrigeration. 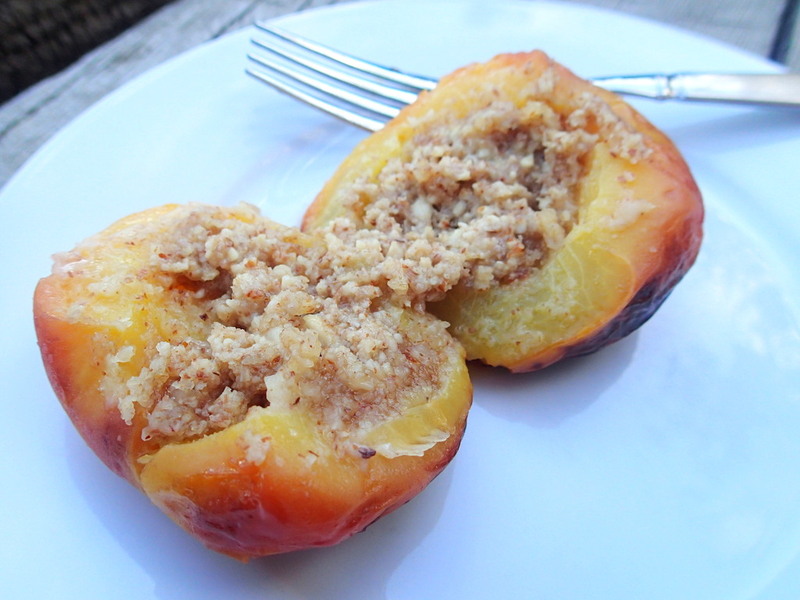 Almond Stuffed Campfire Peaches – Best for night one or short trips. 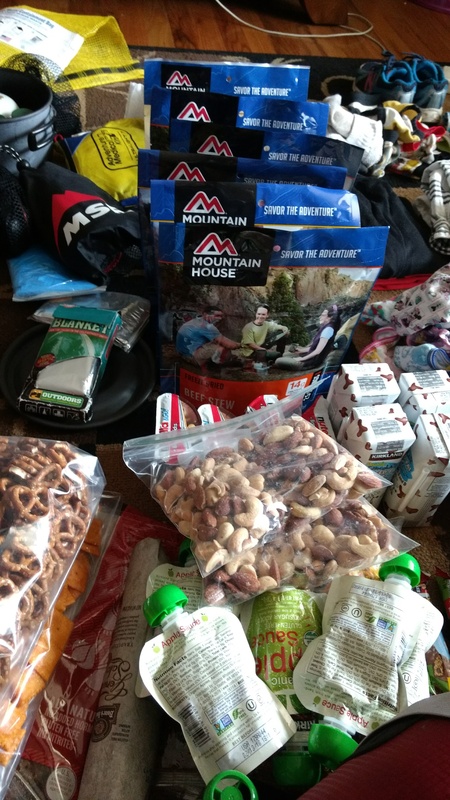 Half the food we packed for our big backpacking trip to Coyote Gulch. Dried fruit – Trader Joe’s has a nice selection as does Costco. Nuts – Trader Joe’s has a nice selection as does Costco. Pretzels or Cheez-Its – Salt is important if you’re sweating a lot. Peanut butter cups – Guilty pleasure and child bribery. Nuun – Helpful with electrolyte balance. Our favorite flavor is Strawberry Lemonade. Available at Target and Kroger stores. 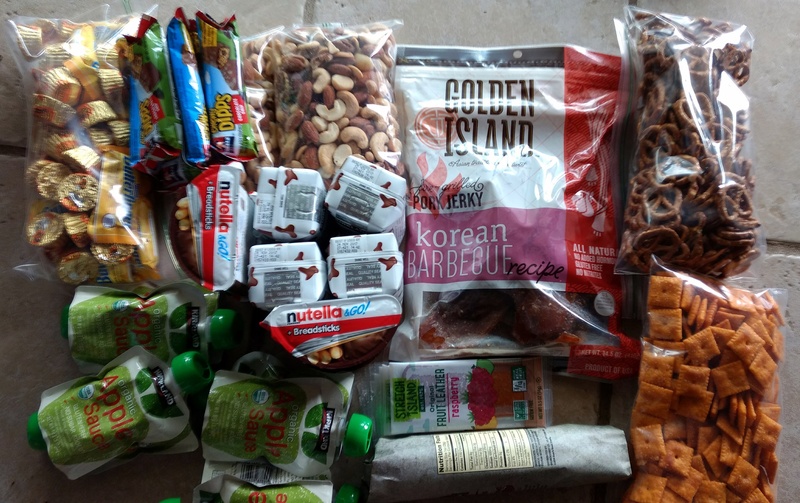 The other half of the food we packed for Coyote Gulch. Freeze dried meals like this one. 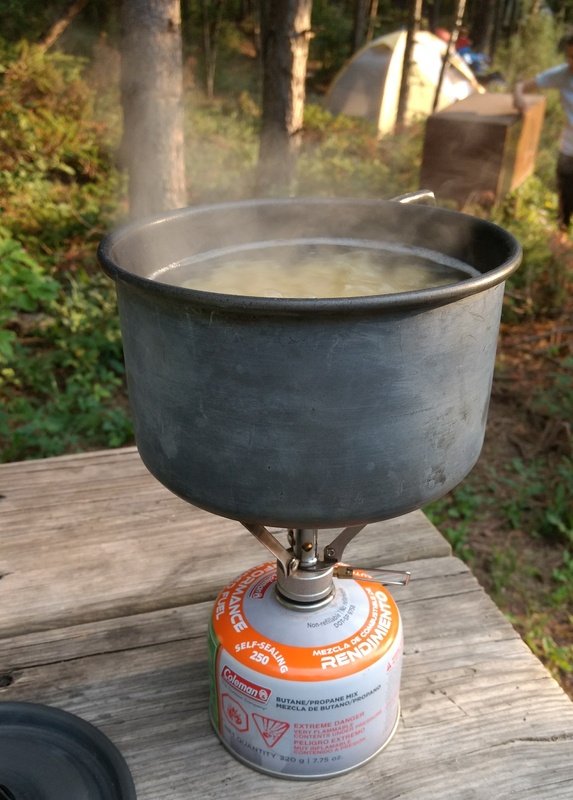 On a multi-day backpacking trip we usually end up eating at least a few of these.